The Lamacchia Realty Housing Report shows you overall home sales statistics and average sales prices for single-family homes, condominiums, and multi-family homes for Massachusetts and New Hampshire from February 2015 compared to February 2014. Overall home sales and prices were both up 3% in February compared to February of 2014. There were a total of 3,473 homes sold in February 2015 compared to 3,368 in 2014. The average price among all sales was $380,125. It was not a surprise to see considering that buyer activity was strong in early December and early January before the snow hit. The biggest area of improvement was among Multi-families since they were up 8% for overall sales and the average price was up 13%! Overall home sales were down 2% in February compared to February of 2014. There were a total of 410 homes sold in Southern New Hampshire compared to 494. 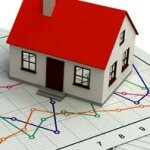 Prices slipped downward by 2% to an average of $228,809 from $234,284. Condo sales took the biggest hit being down 27% and Multi-family prices were down 8% which was the worst of the three. January home sales and prices in New Hampshire were up dramatically so this is likely just a fluke of a month that was likely impacted by all the snow probably delaying some homes from closing. February was the snowiest month in the history of Boston and it dramatically impacted the real estate market which will result in overall home sales being down in March. To read the full report on how the snow impacted February in many more ways than just sales click here to read about: Snowmaggedon’s Impact on the Real Estate Market.